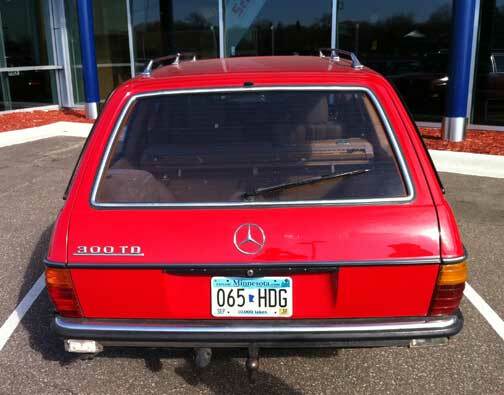 Home Classic Mercedes	1981 Mercedes Benz 300TD Diesel Wagon Euro Model Manual 4 Speed for Sale! 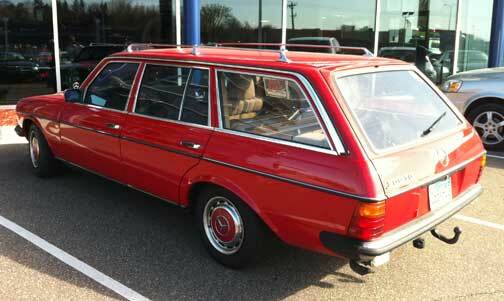 1981 Mercedes Benz 300TD Diesel Wagon Euro Model Manual 4 Speed for Sale! 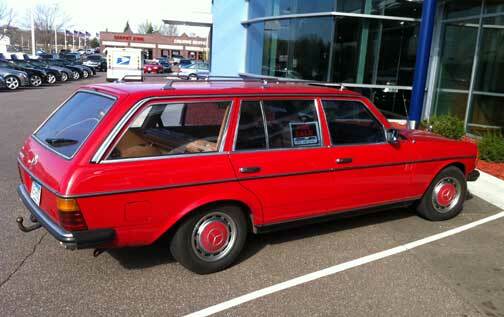 This 1981 Mercedes 300TD wagon rolled into Sears Imports this morning, the gentleman who drove up in it is interested in selling it… he just advertised it in this month’s Hemming’s Motor News. He bought it out of New York a little more than a year ago for his wife, but they have a number of other vehicles and she just doesn’t choose to drive this vintage Mercedes wagon enough to justify keeping it. It has just over 180,000 original miles on the odometer, it is a very rare 4 speed manual transmission car with the 5 cylinder diesel engine that is known to run for literally, millions of miles. It was a European car originally, it has the two tone cloth / MB tex interior. I would say the car is in good, driver quality condition. It was mostly rust free, with several small bubbles beginning to show around the rear fender arches. The interior was in decent shape, the driver’s seat could use a recovering at this point, but it’s a complete car in a really good looking color combo… red with tan interior.